AutoHex is a diagnostic scan tool was designed to do the same functions of the car dealer’s tool, It helps the independent workshops to offer the comprehensive services that their customers may get from the dealers workshops. 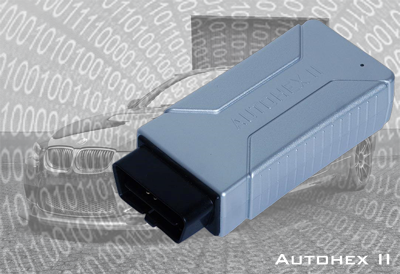 AutoHex Auto diagnostic offers the full functionality available, like reading/erasing fault codes, live data for sensors values, activation of components, clear learnt adaptation, special functions, variant coding and programming the control modules. AutoHex designed to be easy to use, fast in showing results and communication , and fully equipped with all supported functions in the ECU.